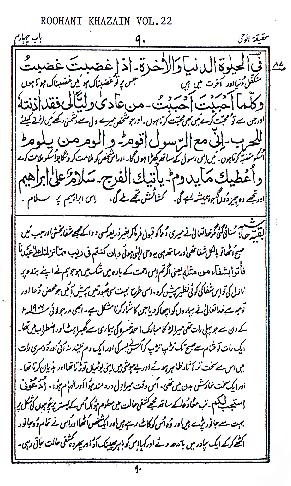 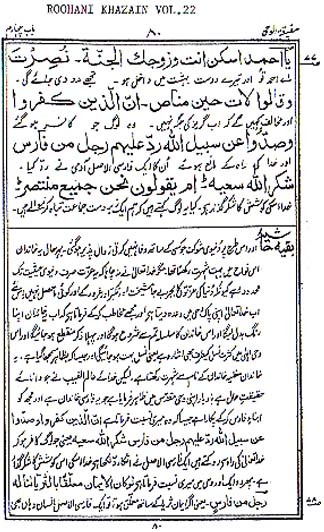 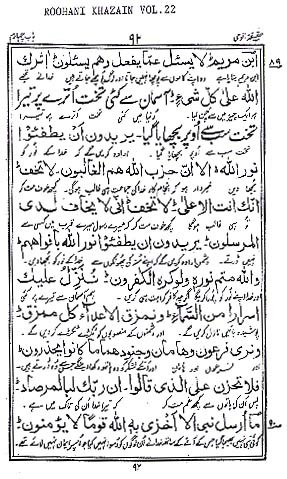 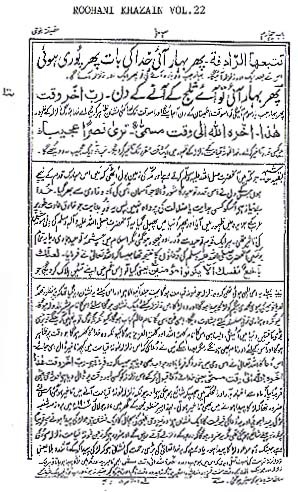 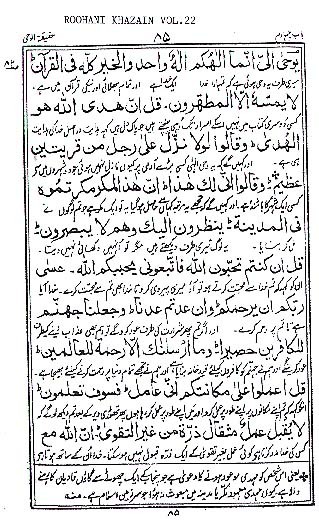 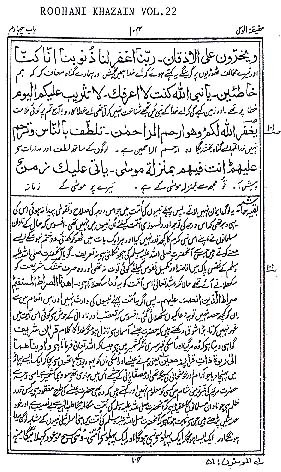 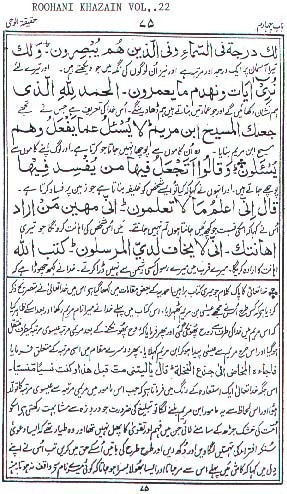 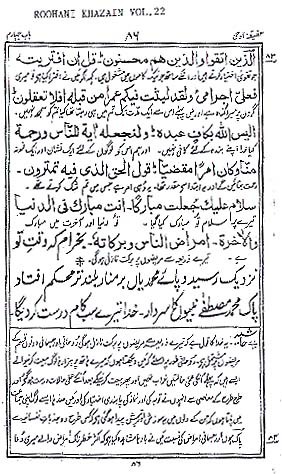 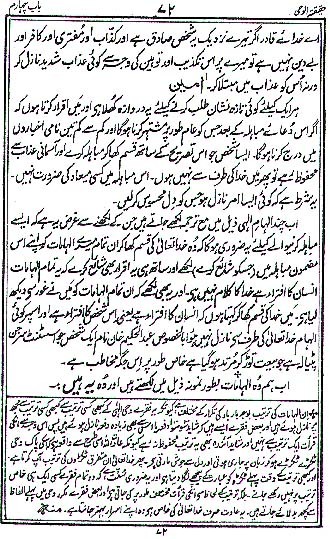 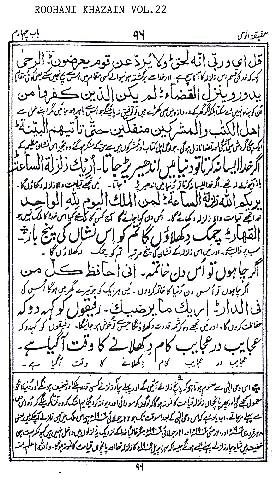 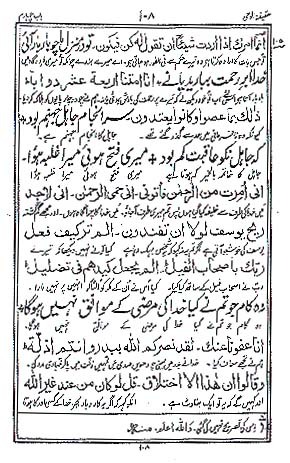 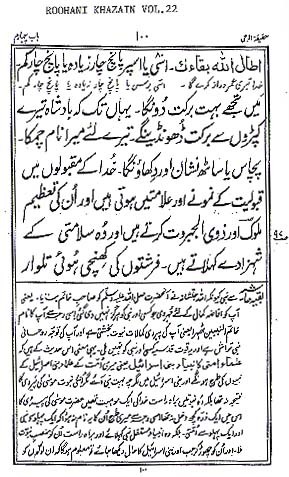 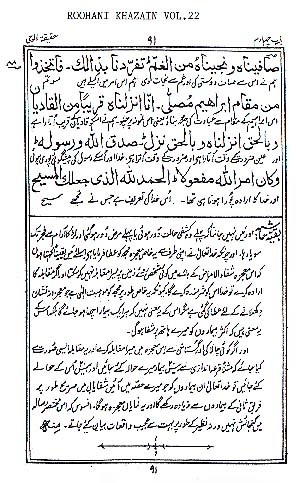 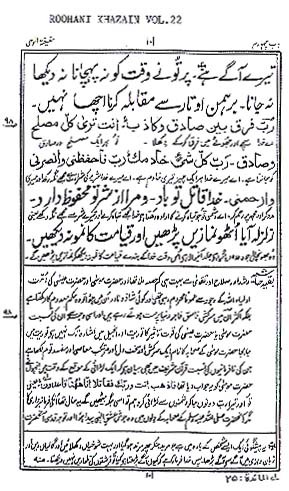 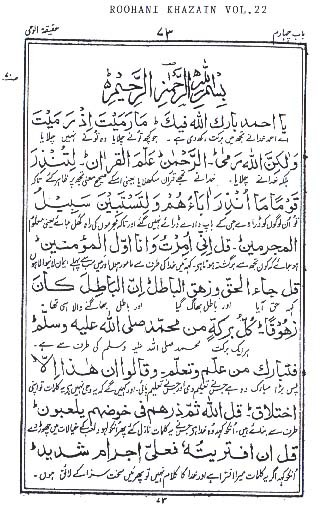 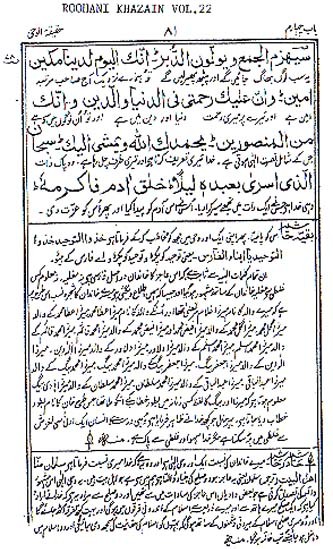 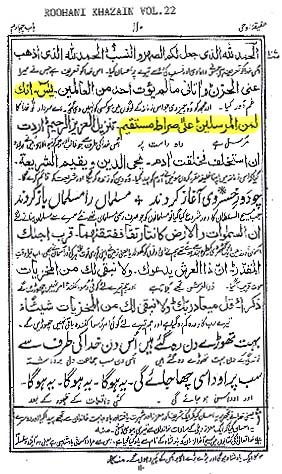 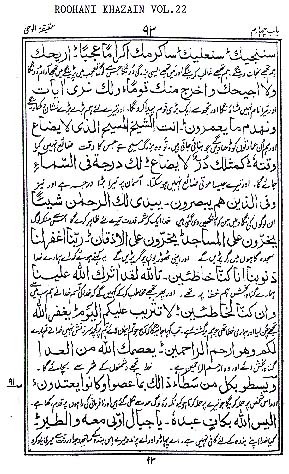 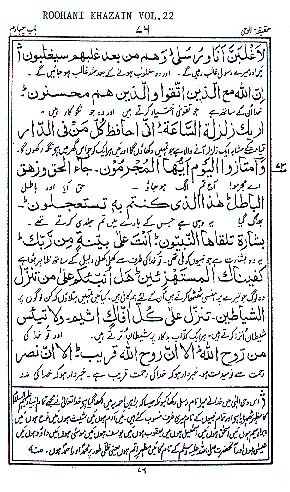 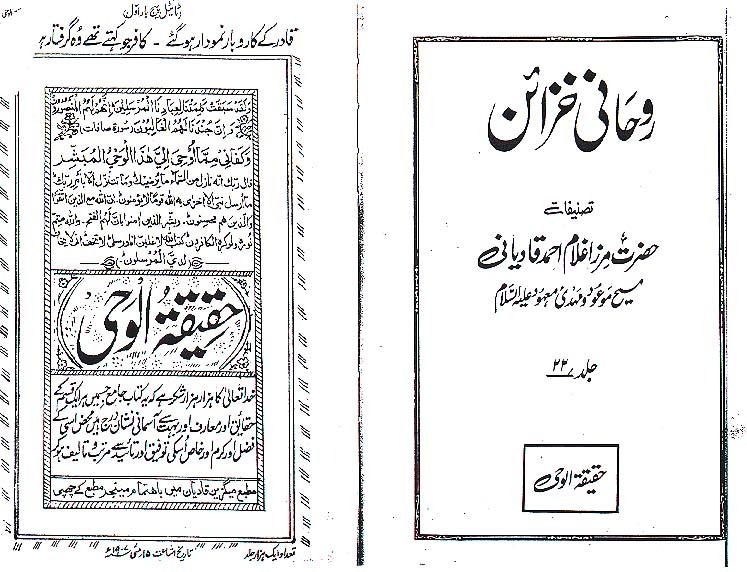 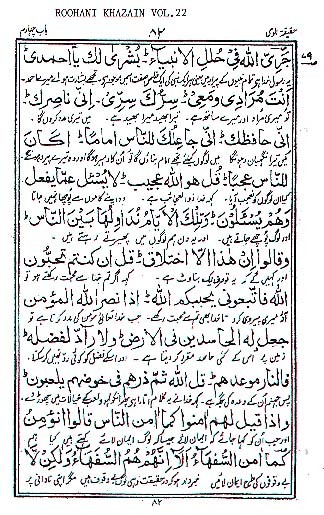 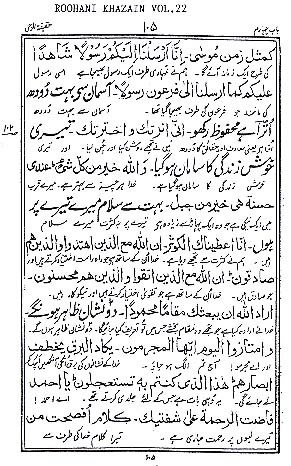 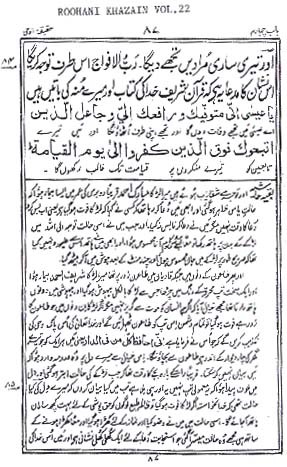 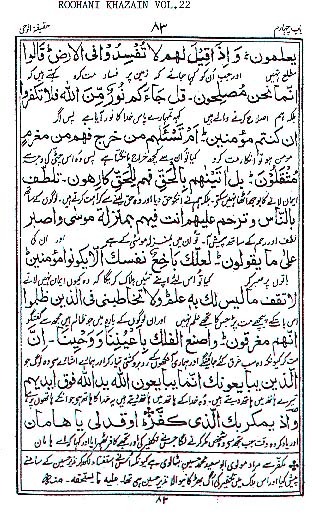 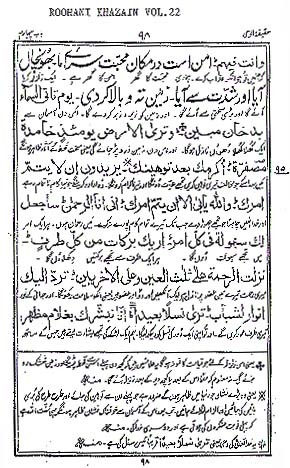 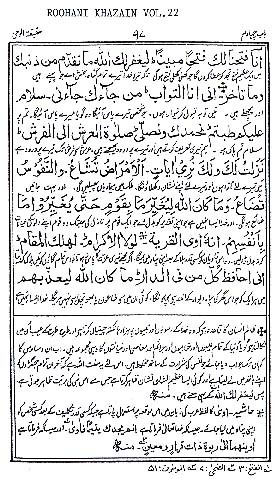 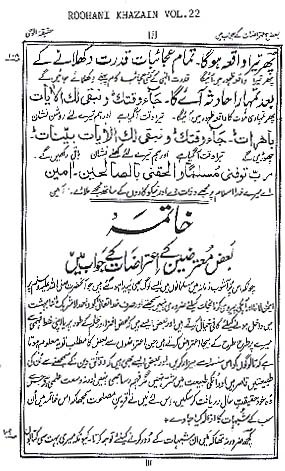 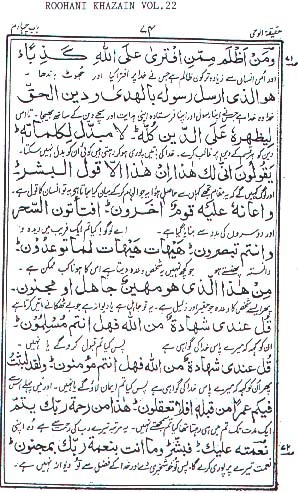 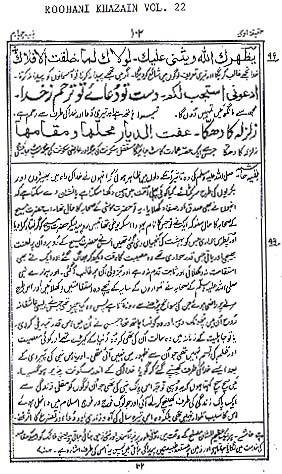 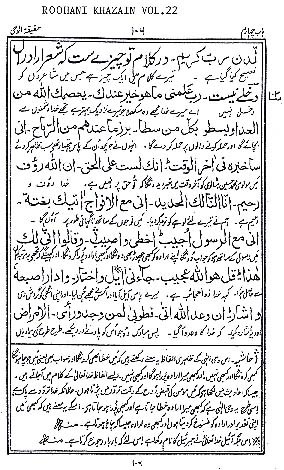 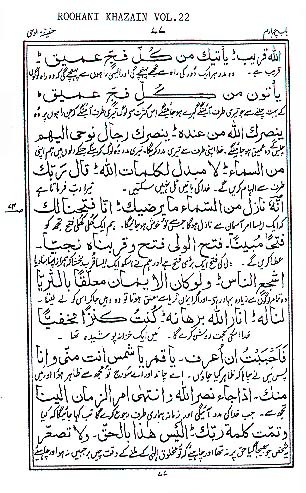 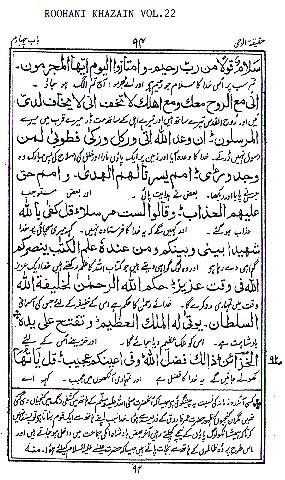 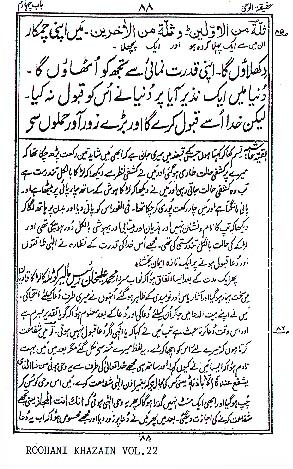 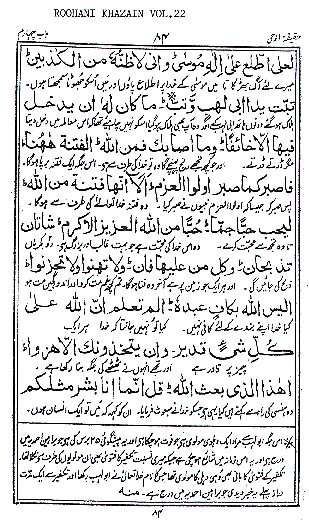 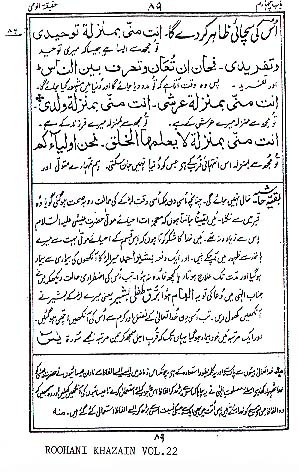 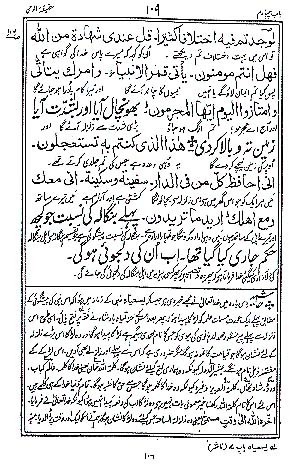 Dear Readers After having read the extent of plagiarisation, alterations, distortions in the text, meanings, applications of verses of Holy Quran, following are the scanned pages from Haqeeqat-ul-Wahi which Mirza claimed are some of the revelations that he had recieved. 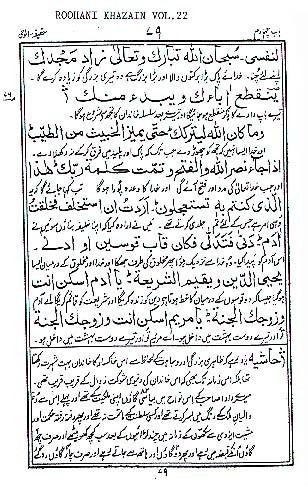 you will notice wholesale plagiarisations of the Quranic text. 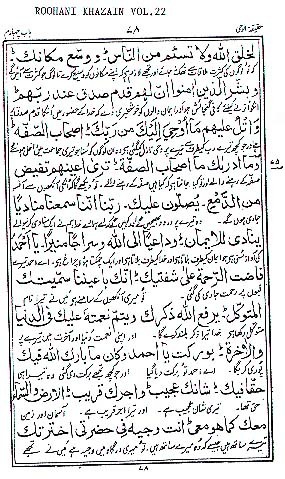 Two, Three, Four, Five, Six, Seven, Eight, Nine, Ten. 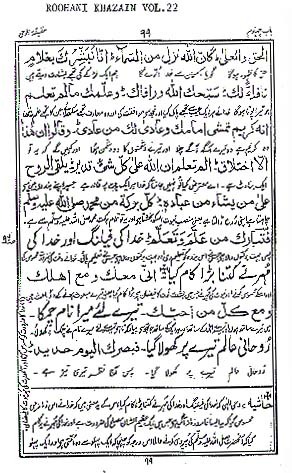 Pages Eleven, Twelve, Thirteen, Fourteen, Fifteen, Sixteen, Seventeen, Eighteen, Nineteen, Twenty. 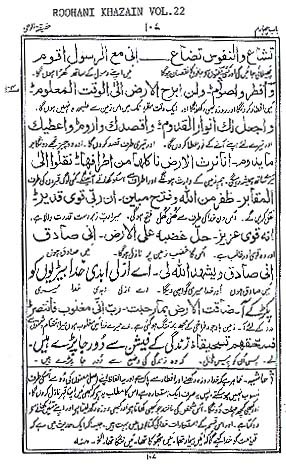 Pages Twenty one, two, three, four, five, six, seven, eight, nine, Thirty. 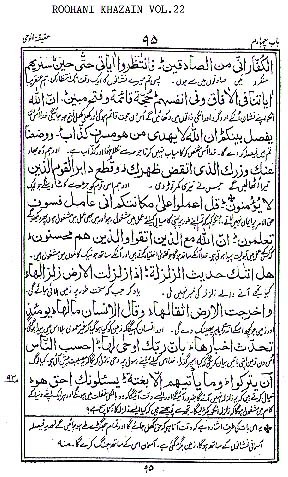 Pages Thirty one, two, three, four, five, six, seven, eight, nine, forty and Forty one.